When it comes to fruit we tend to observe polar opposite approaches, either people are chomping down several servings and downing pints of orange juice to get their daily vitamin C fix or they’re avoiding it like the plague as someone informed them “fruit makes you fat!” So what is the score with fruit? As with most foods, different varieties of fruit offer different nutrients and whilst some of these are healthful it’s good to be aware of the sugar content and how your body responds to it. As with most foods the devil is in the dose, the timing, the way it’s served up and how it’s sourced. Both fruits and vegetables offer antioxidants, vitamins, minerals, fibre and phytonutrients, yet vegetables are significantly lower in sugar, so it makes sense that we preference eating these when hitting our recommended ‘Five a Day’ right? (btw Fitter Food believes it should be closer to 10 a day). However, that’s forgetting the obvious fact that fruit is delicious and can help us replace less healthy sweet, processed foods without feeling too deprived as it still offers a pleasurable eating experience. Our Berries and Lemon Coconut Cream illustrate this point perfectly. Often the plant leaves, skin and pigment (the part that determines their colour) are just as important, after all this is where the plant stores its own chemical defences. Thus the more variety and colour in your fruit consumption the better. 4) We do Need Some Sugar! The sugar content in fruit is what most people are concerned about and it’s certainly wise to limit consumption for this reason. However, the sugars in fruit are used by our liver and muscles and can actually help replenish our body, especially following exercise. There are two types of sugar in fruit: glucose and fructose, we’ll be writing more posts about how these sugars are processed by the body but in short choosing fruits that offer more glucose than fructose or at least equal amounts of each is a safe bet. How Much Fructose For Fat Loss? What’s fascinating about fruit is that selective breeding is ensuring that the varieties we typically consume are much sweeter than those consumed by our ancestors. Sadly, these larger, sweeter varities are often lower in antioxidants, as a rule the more bitter a food tastes the higher the antioxidant content (think kale, coffee, dark chocolate….). One means of establishing if you have the hormone health to eat fruit and burn off the sugars effectively is to buy a glucose monitor and test your blood sugar levels after consuming it. Ideally your glucose should not go much higher than 7.8 mmol/l (140 mg/dl) and should return to pre-fruit values within 3 hours. Adding fats can help blunt the glycemic response so a handful of nuts with your berries or some double cream on your strawberries might make a difference (nutrition testing never tasted so good!) This will allow you to establish how much fruit you can consume. For fat loss favour low fructose fruits. Consume fruits higher in fructose or fruit juice post exercise with foods rich in glucose. 1-2 servings a day will be suitable for most people to make room for more vegetables. Eating the skin, pips and a variety of colour will bring most antioxidant benefit. If you are struggling to get blood sugar and cravings under control try eliminating all sweet foods including fruit for 4 weeks and increasing fat and protein consumption. When you have these under control again you may wish to try experimenting with a couple of servings of fruit daily. Raspberries are remarkably high in fibre and can help support digestive health by keeping you regular. Dried fruits tend to be 50-80% lower in antioxidants than the equivalent consumed fresh, they are a much more concentrated source of fructose so eating fresh varieties are better. 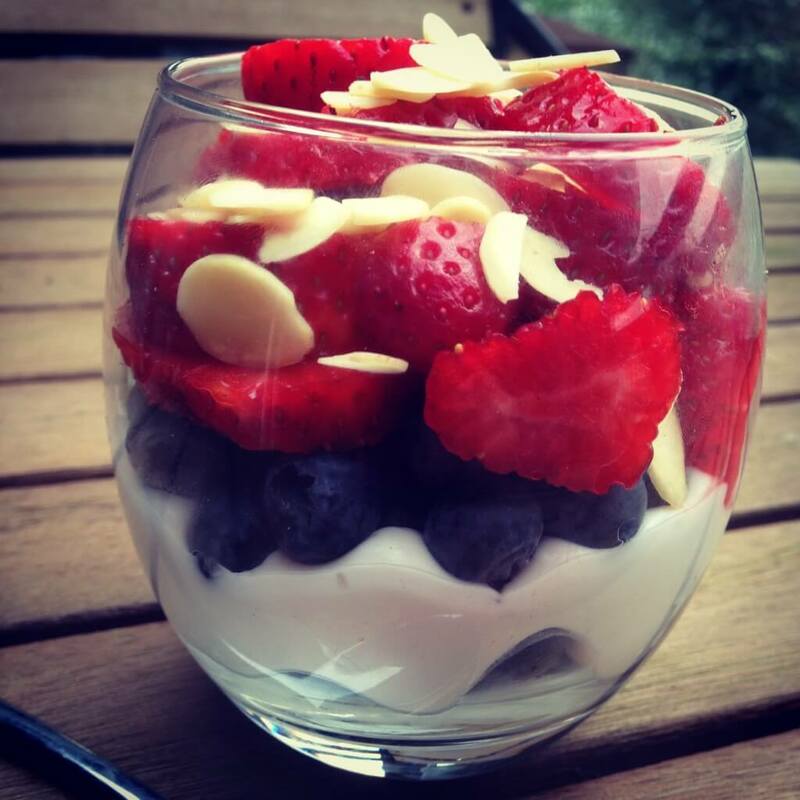 Berries to tend to offer the most nutrients with the least amount of sugar. Blueberries and blackberries are among the most nutritious. All berries lose nutrients quickly so eat within 3-4 days of buying. The skin is often the most nutritious part of a fruit (if edible of course, don’t go chomping down a whole melon now!) Ideally aim to buy organic fruits when eating the skin. Frozen fruits are equally nutritious, especially if flash frozen, however, thawing can destroy the nutrient content so it’s best to thaw as quickly as possible or eat them frozen. We snack on frozen berries by sucking them like sweets, add them to an iced smoothie, or serve topped with warm coconut milk or cream to help thaw them.